We are so grateful for all who kindly provide and arrange flowers in our two churches. This is a wonderful ministry which enhances our worship on Sunday mornings. 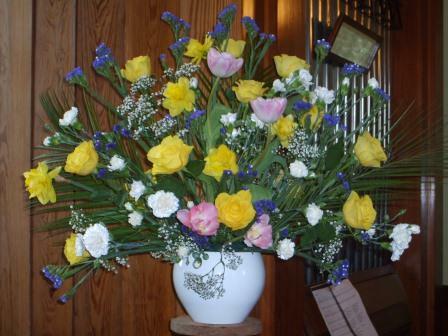 At special times such as Christmas, Easter, Harvest, Remembrance Sunday and Communion we tend to theme the flowers and when possible, place additional arrangements in the church on these occasions. Additional volunteers are most welcome.